Well as far as the league is concerned, that's that! Time to start talking about more serious stuff! There's not a whole heap to be said about this match for another 5 weeks or at least until both championship panels are named. The utterly tedious Gunnigan and the Mayo GAA Pravda Forum is the best place for any endless Mayo debate surely? This could be a 100 pager!! The gap between Galway and Mayo has been narrowing in recent years. Last year Galway peaked in May. Mayo didn't. The championship has a small elite who can beat the rest. Mayo played on this and were still going in September. So the match should be quite strategic. . The most anticipated Mayo v Galway clash in years , im guessing the attendance could be a throwback to when a man was a buckeeen , only thing is its very early so there will be no little tubs of ice cream for free with the spoon costing you 50P . Ahh they were the days . Mchale rd full of greennred bunting , willie joe padden , TJ Kilgallon, Padraig brogan , Noel Durcan ,kevin Mcstay . More simple times indeed, no aspirations of all Irelands , everyone was more content too. Its all cranky nowadays , following Mayo has become less enjoyable in ways even though its the best team we've ever had in my lifetime, its a strange one that. This game is hard to call, bookies keep shortening the odds on galway since about two weeks ago , Galway started at 15/8 into 6/4 now. Keegan a massive loss , higgins not played football all year yet, some really poor performances in the league , all poor actually bar the kildare game . Tyrone game was diabolical . Persisted with caff for too many games . Loftus looks too light for championship. Despite all the good o donoghue did he still got roasted when tested v Mannion. Mayo will have to do the most improving to be competitive in this one . Smart money goes on Galway if only for the value. My Mayo connections are very confident about this one. They reckon Galway have that arrogant 'Fancy Dan' streak in them again, and will come into the game very cocky. We are Galway and will be 'Fancy Dans' when we like; no amount of double-digit Championship defeats will knock that arrogance out of us. Looking forward to it already although when these games are given the hype which I expect this one to be given they very rarely live up to expectations. The loser has 3 weeks to prepare for a qualifier so not the end of the world for either team should they lose. David Brady seems to think its all over for Mayo should they lose but we've heard that in the previous 2 years. This will be hyped endlessly but the reality is whoever wins or loses these two sides should still make the last 8. I know Mayo are a relatively old panel and have miles on the clock but the qualifiers are about going out and beating teams that are weaker than you. Mayo have struggled to do this but have managed to do it over the last few years. If they end up in this situation they'll do it again. Neither will be too excited about a Connacht title should they go on to win it. It shows how completely broken the championship structure is. However, Connacht Council need a payday and the GAA need a good start to the championship so there will be relentless talk about this game for the next 5 weeks. The hype will dwarf the importance of the game. Whoever loses may make the Super 8 but the addition of three more weekly games to the already tight Quailifer schedule means the odds are seriously stacked against them making the AISF. I doubt Mayo would consider being out before the AISF stage for the first time in in eight seasons as anything close to a success. Massive stakes for them in particular in this game. They are confident over on chez Willie Joe. Few reasons why i think we will beat galway in May. 1. We have been complacent the last two years against them in the championship we probably felt the first year was a fluke and last year we were not fully expecting them to beat us again this year is different we will have our homework done and be fully tuned in. 2. Galway have fielded prob 85% starting team all league and are close to peak fitness it won’t be sustainable alot of their team are young fit lads who came from u21 or sigerson our lads are seasond players who are programmed to peak later in the season. 3. 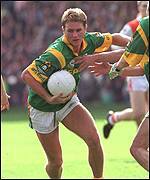 We will hopefully have 7 players who started the all ireland back who were missing from the game in pearse stadium. 4. Galway have showed their hand and rochford will 100% have the tools to dismantle it as we have seen him do the past few season. 5. We are a better team with more hunger. More hungry? All that success must have went to Galway’s heads.